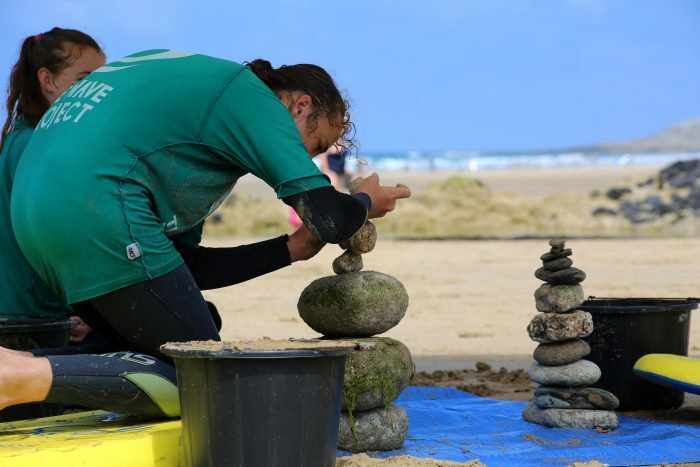 Pupils at beach school this week took energy and inspiration from their surfing experiences to explored their artistic ideas and get creative outdoors. 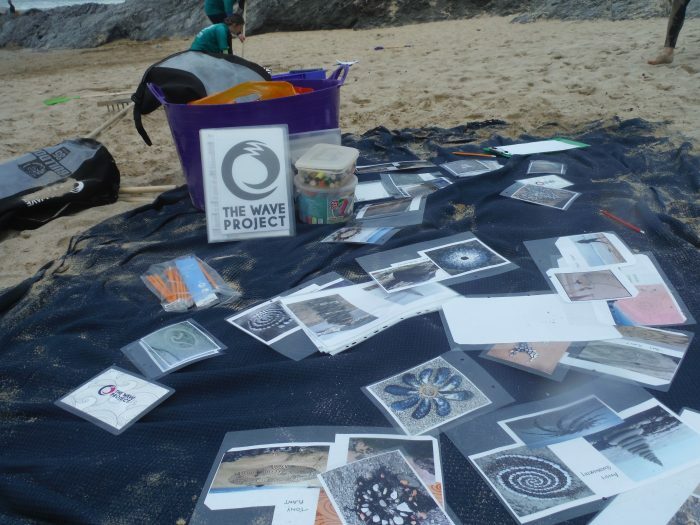 With such a wide open ‘canvas’ and by working together our surfers produced some amazing work and expressions. 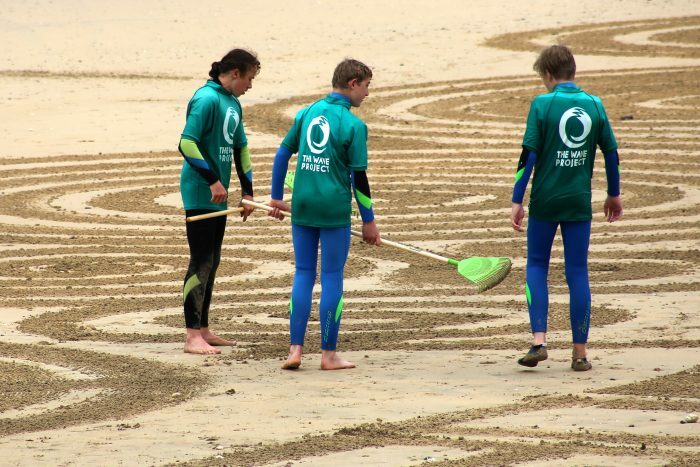 As with all beach art – once experienced and enjoyed we ended the day watching the tide and waves carry away our endeavours!